Rely on us for timely delivery as we are assisted with up-to-date transit facilities and logistics services. We are a quality driven firm and thus make sure that the material used for manufacturing complies with high-quality standards. As a result of which, the finished products have long service life. 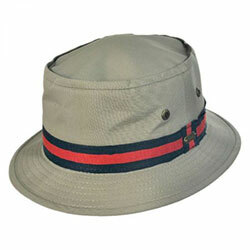 WB-2106 Bucket Hat has a highly durable fabric with fine stitching and a high durability.